The German car maker BMW launched its electric sports car in India with its brand Ambassador Master blaster "Sachin Tendulkar". BMW is renowned for its technology and innovation. And with launching of this car it has proved it again. It is a first plug in hybrid vehicle which will be available for sale in three Indian cities right now ie Mumbai ,Delhi and Chennai.This car will be available as a completely built unit. 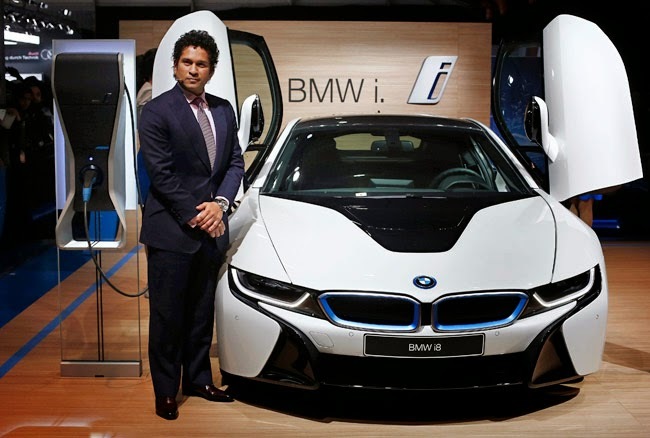 Coming to its Brand Ambassador Mr Sachin Tendulkar (World known cricket player) said, " BMW had managed that they have lead a proformance of car to speak for themselves. 2)Three modes of driving : Comfort, Eco-Pro and Sports. 4)Running in battery power it achieves 120 km/h and gives a range of 45 Kms and with conjucation of gasoline engine it achieves 250 Km/h and can archive a range of 600 Kms with both the power. BMW launching its Hybrid car in India is an intelligent step by company. An electric sports car with massive performance is targeting Indian sport car fans to taste the new driving experience. 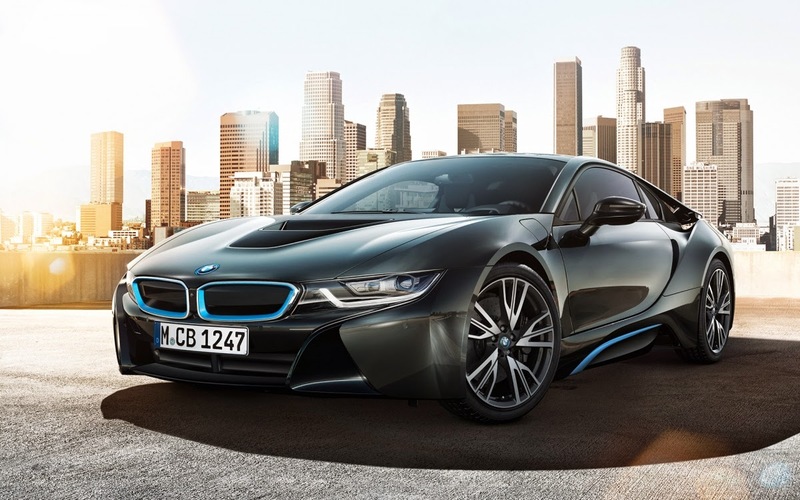 BMW i8 calling itself "I am the Future" shown the future vision of company. No doubt about car performance and driving comfort. But lets wait and watch what the sales figure says. Will its electric taste change petro head minds. Will its economy and efficiency matter to the rich buyers? As this car is also being used for the Formula E racing's safety car ,it may attract more customers.